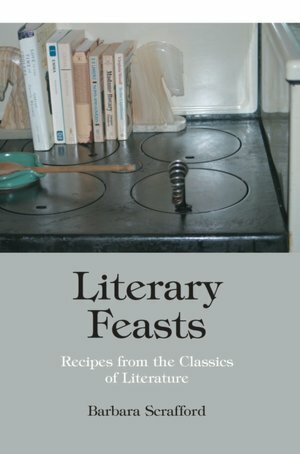 "Drawing on the culinary traditions of the times and cultures at the center of each novel, the author serves up an eggplant epiphany from Gabriel Garcia Marquez's Love in the Time of Cholera, jam tarts from D.H. Lawrence's Sons and Lovers, to Mrs. Ramsay's famous boeuf en daube dinner in Virginia Woolf's To the Lighthouse, and much more. 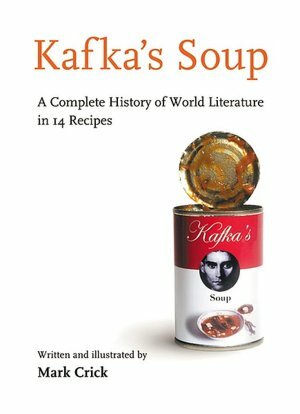 Accompanying thought-provoking essays define the role of food in each work: as a part of a larger metaphor, in Ralph Ellison's Invisible Man; as a way of depicting character, like the bland diet of the dull Mr. Woodhouse in Jane Austen's Emma; as a means of adding vivid detail in Edith Wharton's The House of Mirth." "Jane Austen wrote her novels in the midst of a large and sociable family. Brothers and sisters, nieces and nephews, friends and acquaintances were always coming and going, which offered numerous occasions for convivial eating and drinking. One of Jane’s dearest friends, Martha Lloyd, lived with the family for many years and recorded in her “Household Book” over 100 recipes enjoyed by the Austens. A selection of this family fare, now thoroughly tested and modernized for today’s cooks, is recreated here, together with some of the more sophisticated dishes which Jane and her characters would have enjoyed at balls, picnics, and supper parties. A fascinating introduction describes Jane’s own interest in food, drawing upon both the novels and her letters, and explains the social conventions of shopping, eating, and entertaining in late Georgian and Regency England. The book is illustrated throughout with delightful contemporary line drawings, prints, and watercolours"
"If you’ve ever wondered what it would be like to make dinner with Franz Kafka, Jane Austen, or Raymond Chandler, this is the chance to find out.Literary ventriloquist Mark Crick presents fourteen recipes in the voices of famous writers, from Homer to Virginia Woolf to Irvine Welsh.Guaranteed to delight anyone in love with food and books, these witty pastiches will keep you so entertained in the kitchen that you’ll be sorry when the guests arrive." Do you have any favorite or different cookbooks to share? What recipes have you tried from some of your readings? I'm still having a lot of fun with this challenge. I keep adding more books to my "to-read" list and I continue reading more than one book at a time, so I never know which one I'll actually finish first. I like the cookbook ideas. Since I'm in a Jane Austen reading mood, I might have to check that one out. I used to read only one book at a time. Now that I've got the nook - read that while doing the treadmill, a hardback for other times and audio book in the car. Hi there! 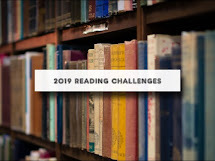 There's been a half dozen people doing '52 books a year' over at Stringing Words for a few years - I joined in halfway through last year, and didn't make it. Just started another ebook - 'Trading in Danger' by Elizabeth Moon. Read on!! welcome to the challenge, Chris. Can't go wrong with Harry Potter. Loved all the books. What a neat idea! 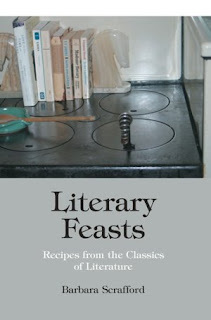 I'd love to read Literary Feasts. My favorite literary cookbook has to be "The Little House Cookbook" by Barbara Walker, based on the Little House series by Laura Ingalls Wilder. Another fun read for literary foodies is "Choice Cuts" by Mark Kurlansky, a selection of food writing by famous authors from Chekhov to Orwell to Alice B Tokas. Choice Cuts looks really interesting: Herodotus on egyptian dining, plutarch on Lucullus dining with himself to Eating at Cab Calloway's. Wide variety there. Added it to my wishlist. These sound fun, especially Literary Feasts! 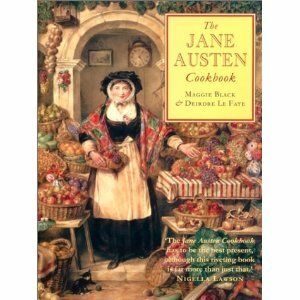 The Jane Austen Cookbook and Literary Feasts just went on my wishlist. What a great thing. I cam here to find out if non-fiction was OK for this challenge, and it looks like that is so. Nonfiction is more than okay! I enjoyed Alone in the Kitchen with an Eggplant - a compilation of essays that offer a glimpse into the eccentric tendencies of individuals when left to prepare a meal for themselves AND A Homemade Life by foodie blogger Molly Wizenberg. What a great title: Alone in the Kitchen with An Eggplant. I usually don't read essays but this one looks good. Finished 3 books this week for a total of 5. Book #3 was "How Children Fail" by John Holt. Anyone who works with children, has children, or knows them ought to read this book. Book #4 was "Beowulf" with an excellent translation by Burton Raffel. What's not to love about Beowulf? Book #5 was "Ruins of Gorlan" - Book 1 in the Ranger's Apprentice series by John Flannagan. It's easy to see why this book for YA was on the New York Times Bestseller list. Well told story - although a bit predictable - made for a great Saturday afternoon (and well into the night) read. Love Holt - great book! You know, I've never really thought much about literary cook books. (I'm not much of a cook.) But what an interesting way to make a deeper connection with some favorite reads! Isn't it. 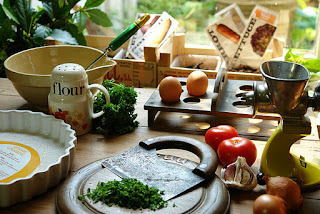 When Beth Fish Reads started highlighting cook books every saturday I discovered some interesting books. Forgot to check in last week. Finished The Dewbreaker by Edwidge Danticat (a bit disappointing. And I'm almost done with book 6, Slumdog Millionaire by Vikas Swarup. Haven't heard of either one. Will have to look them up. I made a meatloaf type dish from one of my books. Wish I could tell you which one, I didn't write it down and my son loved it! Well shucks. I love meatloaf. Love Robyn Carr. Many books discover through the book bloggers reviews. Others are favorite authors. Oops! I'm a little behind on linking up, I'll just have to double up this week. If you're looking for a literary cookbook try Under The Tuscan Sun. I listened to the book on audio and it had me drooling! Alright - a drool worthy book. Will definitely check it out. Oh, thank you for mentioning the Jane Austen cookbook. We're ordering it from the library, along with the Laura Ingalls cookbook. Literary cookbooks are wonderful! A friend and I were just talking about them. We are in a mother-daughter book group together, and at each meeting, we have some kind of food that relates to the book. I highly recommend two literary cookbooks, The Redwall Cookbook by Brian Jacques and Hallelujah! The Welcome Table by Maya Angelou. The Redwall Cookbook is a great source for recreating many of the dishes that grace the pages of each of his Redwall novels. The Welcome Table is a collection of memories linked to food by the author. Her story telling skill makes the food feed more than just your stomach. Definitely will. Actually I'm just about to read Redwall to preview it for my son.